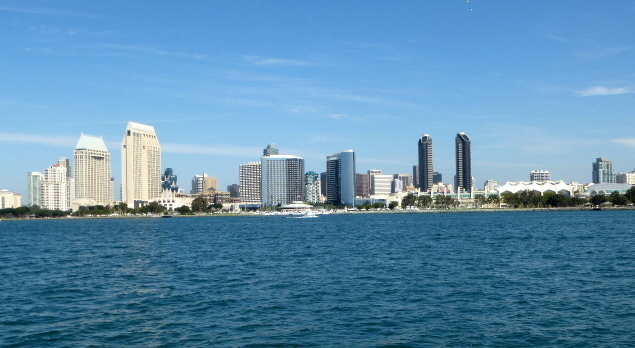 This afternoon we head into downtown San Diego. Earlier in the day, I had picked up some brochures in the hotel lobby pertaining to the local attractions. 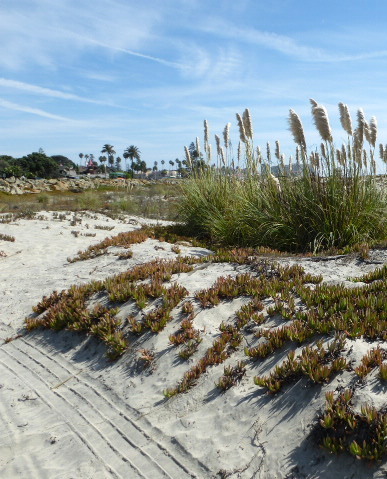 A stretch of land along the bay has recently been revitalized. 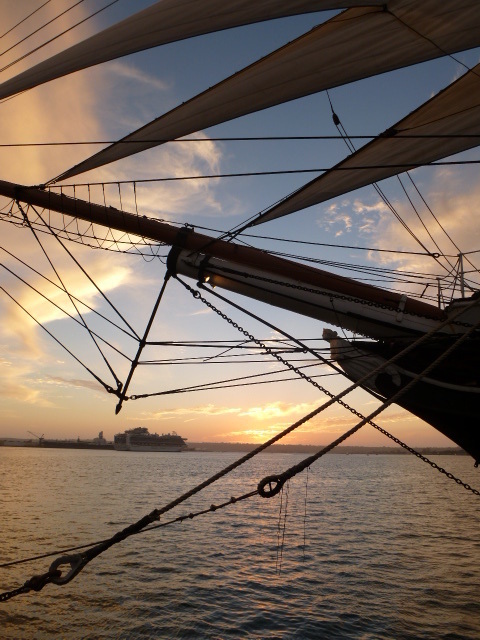 Embarcadera San Diego Bay is a small stretch of waterfront offering a little something for everyone; from dining to shopping, from museums to cruises, plus much more. 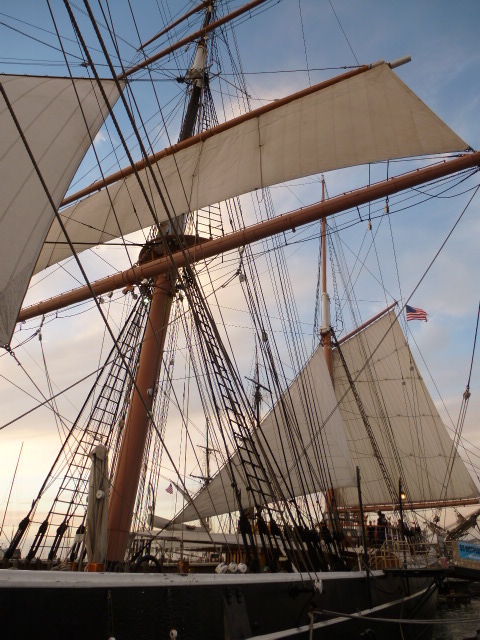 It takes about fifteen minutes to walk the Embarcadero from the Maritime Museum to the Seaport Village. Don’t feel like walking, no problem…..there are numerous bicycle taxis ready to take you to your next destination. 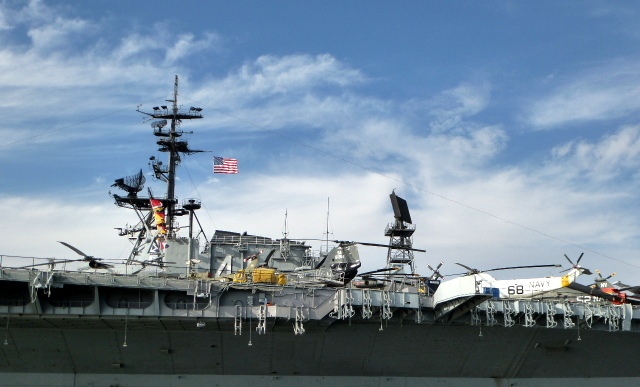 The attraction of most interest to Logan is the USS Midway Museum. Tour this floating city at your leisure with over 60 exhibits and 25 restored aircraft. 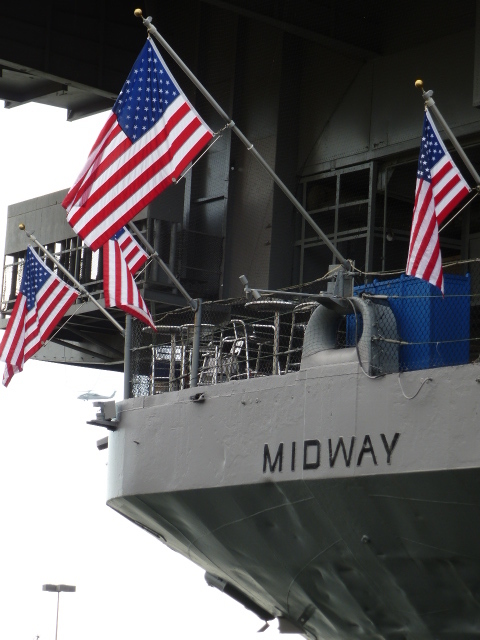 The USS Midway is one of the Navy’s longest-serving aircraft carriers and is now a museum and open to the public year round. We were shocked to learn 3,200,000 gallons of ship and aviation fuel could be stored onboard. I guess I shouldn’t complain about my fuel costs. 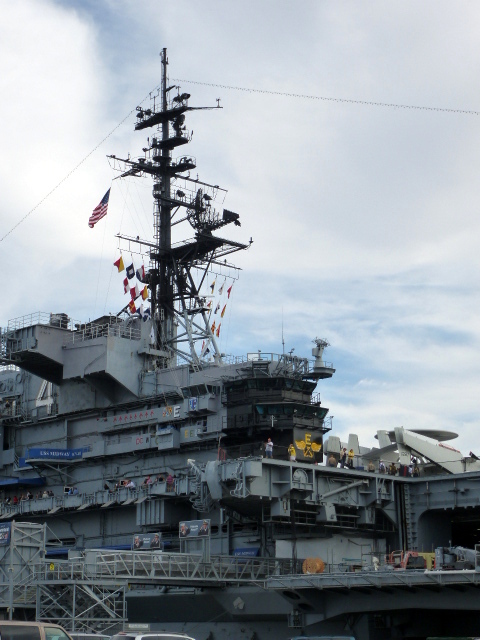 Logan forgoes a visit aboard the USS Midway in hopes of touring this aircraft carrier on a future visit with his father. Hubby was a constant source of our discussions throughout the day, as we both know he truly would love the museum and memorials in this beautiful park setting. Logan and I take our time enjoying Embarcadero. Talented artisans have crafted stunning memorials. I was moved by the Bob Hope Memorial. 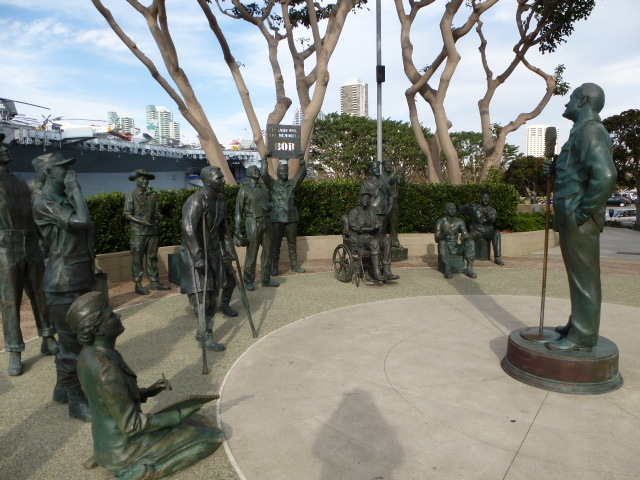 As you walk up to these statues, past recordings of Bob Hope from his USO Tours fill the air. 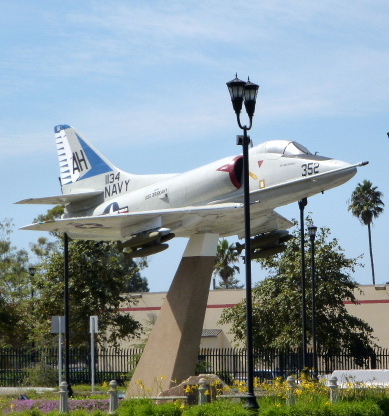 Other memorials include; Taffy 3 WWII Memorial, USS San Diego Memorial, Aircraft Carrier Memorial, Pearl Harbor Memorial. 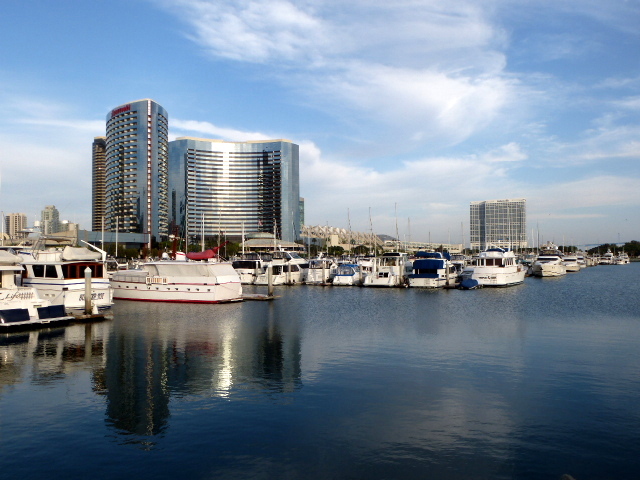 The Seaport Village is to the south of the USS Midway Museum. 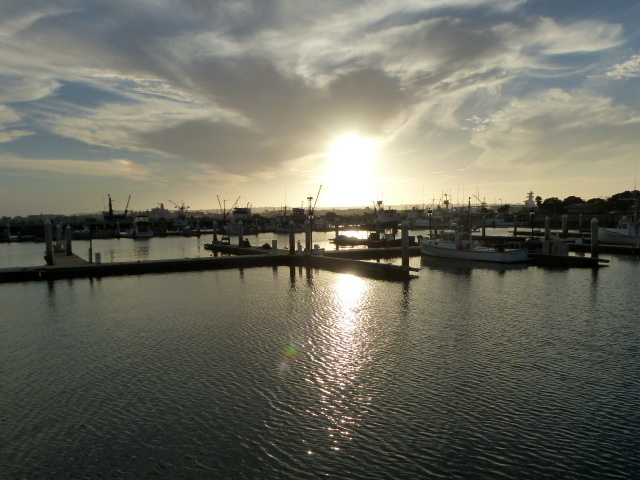 Cute shops and restaurants abound, as well as a great view of the Coronado Bay Bridge. To the north of the USS Midway Museum are the piers for cruise ships. 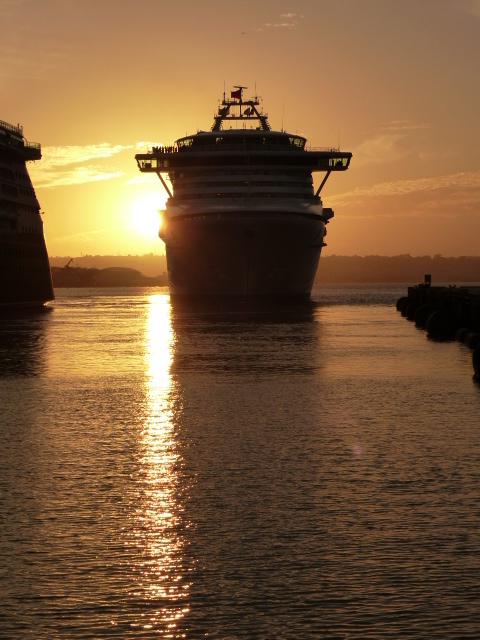 Just as we were walking by, the Sapphire Princess was pulling out of port. It was fun to watch and wave bon voyage. North of the cruise ships is the Maritime Museum. Along side some historical sailing vessels were a couple of semi-submerged submarines. Once again, we forgo the museum tour while noting information for a future visit. Unfortunately, tomorrow we return to Phoenix with found memories of yet another whirlwind trip and plans to return for a lengthier stay. I have had and continue to have the good fortune and ability to travel. I must admit, up to this point, I have yet to experience a place with better, more consistent weather than San Diego. And although, the weather does change, the changes seem to be within a realm. This recent trip to San Diego does not disappoint. A pair of slacks, a pair of shorts, a couple of T-shirts and a sweatshirt, and I’m set. A bit cool in the morning and evening, near 80 degrees mid-day, partly cloudy to clear skies and a beautiful ocean breeze….ah! Does it get any better? 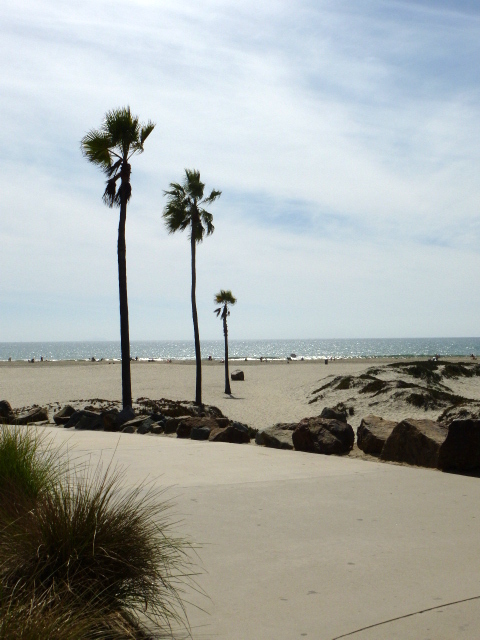 Our first stop of the day – Coronado Island. 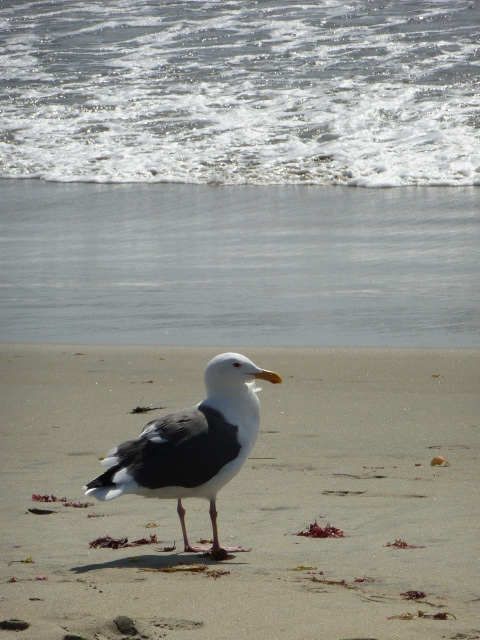 We take the famous Coronado Bay Bridge to the island and spend the afternoon exploring. “Two of those dudes look just like dad when he was younger”. Ok, busted. Although I did not know hubby during his military days, I’ve seen plenty of photos of him in his green flight suit. Hubby actually shipped out of San Diego on an aircraft carrier. Yes, flying a plane on and off an aircraft carrier takes skill, but more importantly guts and hubby definitely has guts. Hubby has all sorts of tales to tell about his Navy days. A chair, a campfire, and a margarita and the evening’s entertainment will commence….interject a little exaggeration here and there and I promise one won’t be bored. 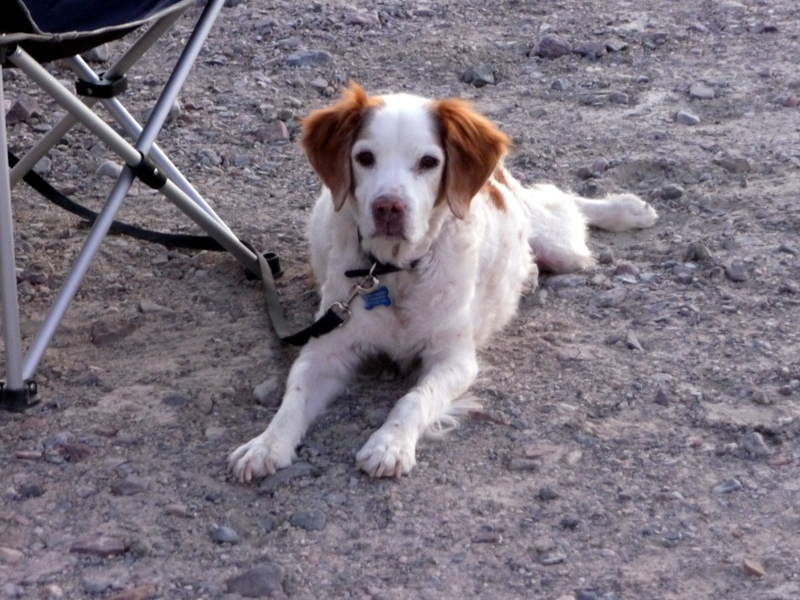 In addition to all his other talents, Al is definitely a gifted story-teller…. Ah….to be young again….one can dream! Logan and I drive to the other side of the island, park the car parallel with the ocean, and walk across the sand to the waters edge. Our last time here on Coronado Island was fifteen years ago for Logan’s tenth birthday. 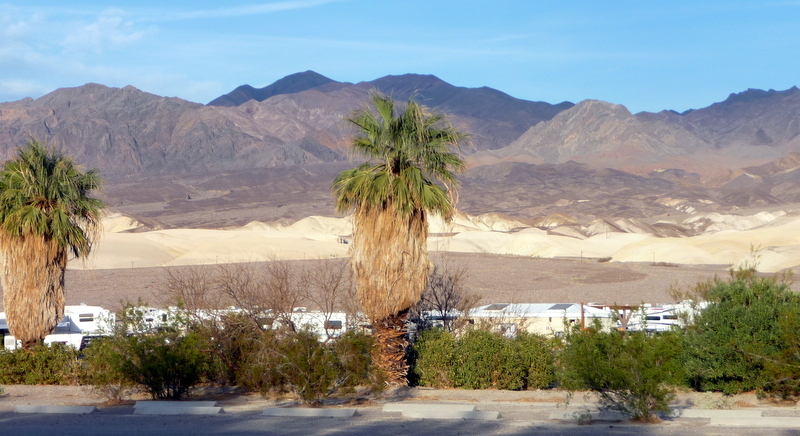 At the time, my brother and his wife lived in California and we lived in Las Vegas, Nevada. Al, the kids, and I arrive in San Diego the day before we were to meet brother and wife at Sea World to celebrate Logan’s birthday. We arrive in San Diego a bit too early to check into our hotel room. 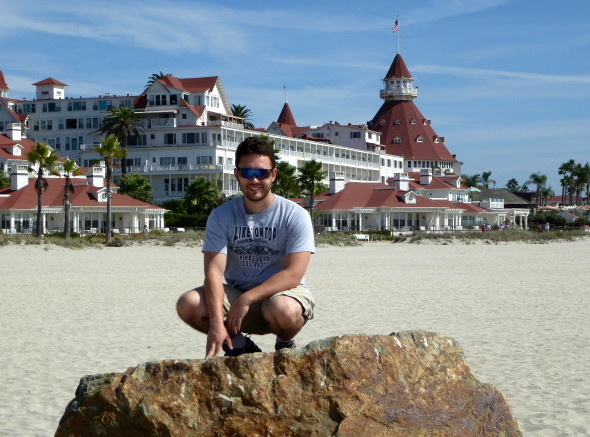 Al, having spent time in the area, proceeds to drive over to his old stomping grounds on Coronado Island. It’s Sunday, but more importantly it’s Mother’s Day and much to our surprise, the Navy was having an open house. The aircraft carrier USS Nimetz was in port and open to civilians. OMG, Al’s excitement could not be contained. We spend the next few hours exploring the USS Nimetz. This was definitely a special bonding moment between father and son. It was the highlight of the weekend for Logan and birthday memories he has cherished. All the while father and son were enthralled with their surroundings, 7 year old daughter whined about wanting to know where the dolphins were. Tomorrow, honey, tomorrow! I admit to a little whining on my part as well, but let’s not go there. Well tomorrow came and daughter was in seventh heaven. She got to feed and pet a dolphin. The delight on her face was priceless. Son on the other hand, wanted to know why he couldn’t go back to the aircraft carrier. Oh well, at least each child had their memorable day, and as parents we shared in their joy as lasting memories were forged. 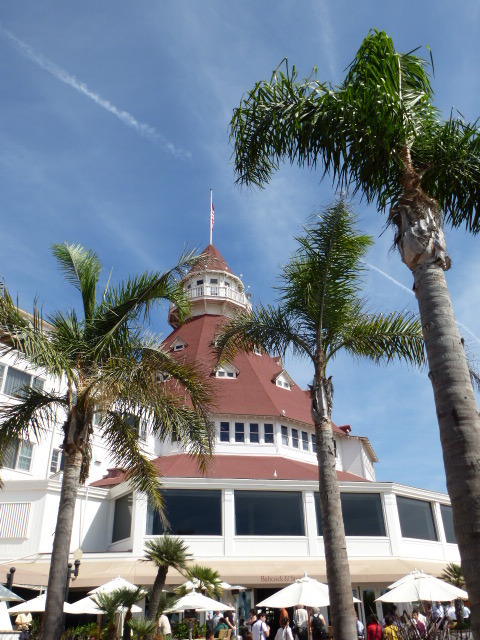 Logan and I reminisce as we walk the beach heading toward the famous Hotel Del Coronado. Good times, good times! 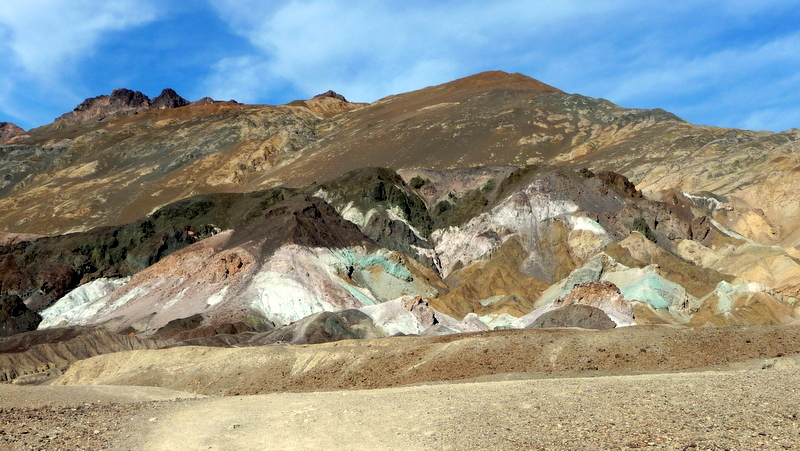 Death Valley has long been on my short list of places I have wanted to see. So when Al and I decided to hit the road, Al wanted to know my top choices of locations I’ve always wanted to visit. 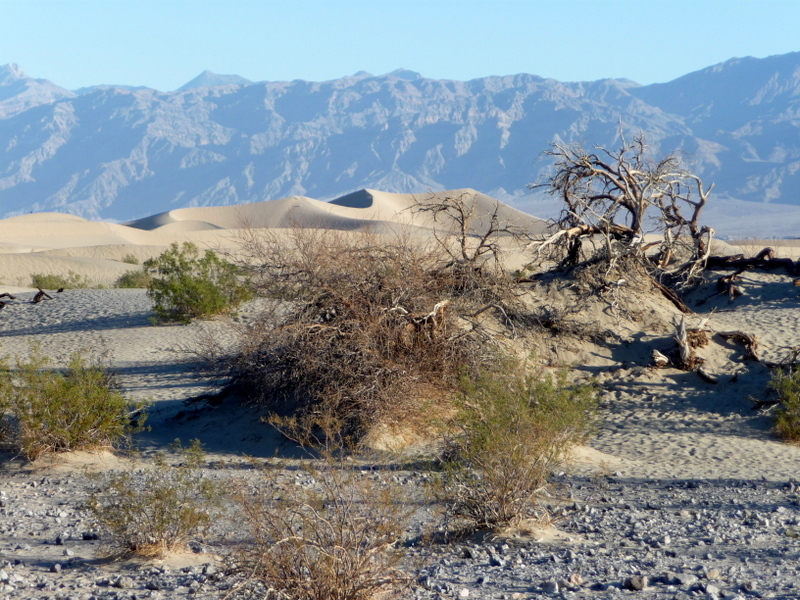 Keeping time of year and weather in mind, February in Death Valley seemed to fit the bill perfectly. Have you ever wanted to do something or go somewhere really badly only to be disappointed once achieved? 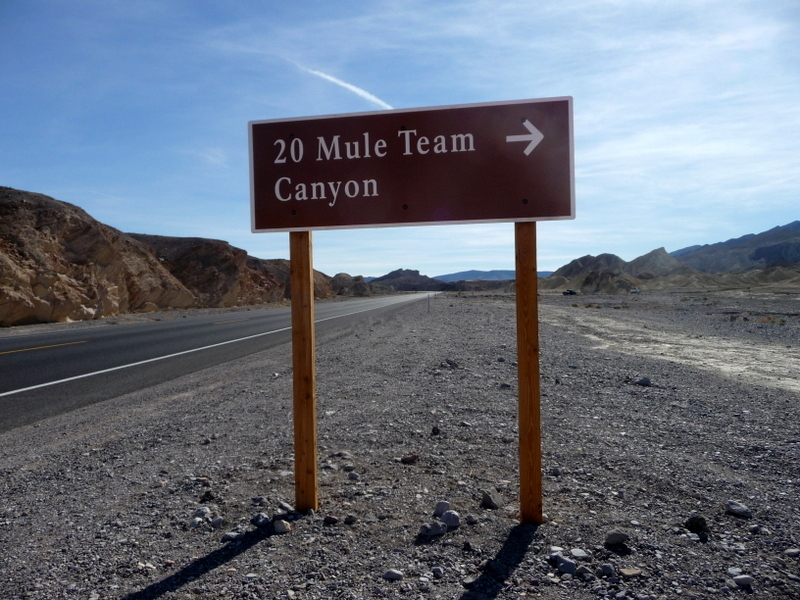 Well that’s kind of how I was feeling about the trip to Death Valley. 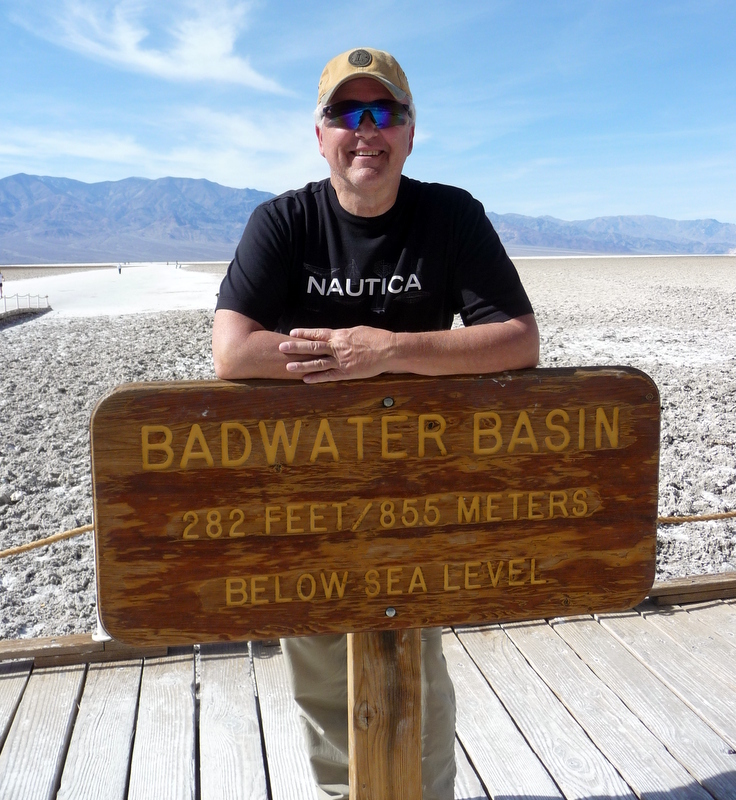 I thought, “this is a place I’ve wanted to visit for the last twenty years, and am finally able to do so. I bet it will be anticlimactic”. NOT!!!! So worth my while. Absolutely loved it and plan to return next year for further exploration. 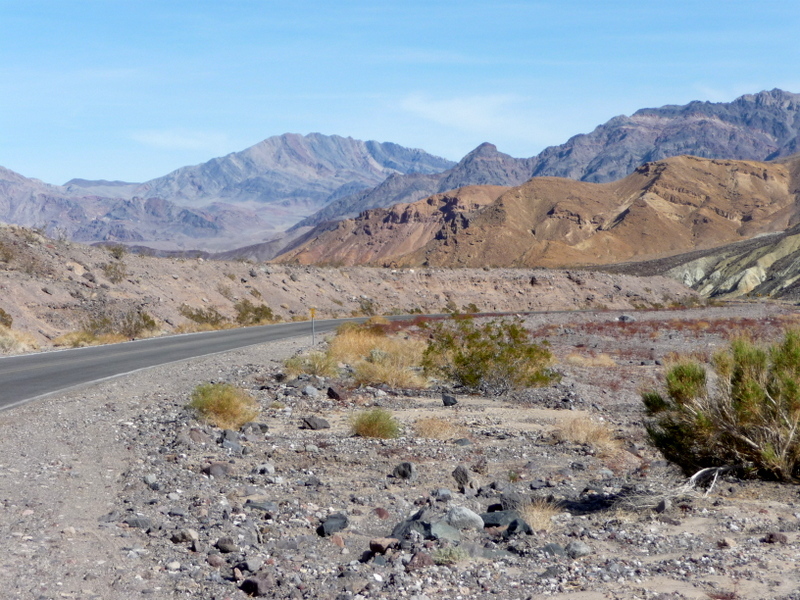 From Lake Havasu City we traveled north on Hwy 95 to Interstate 40 west. 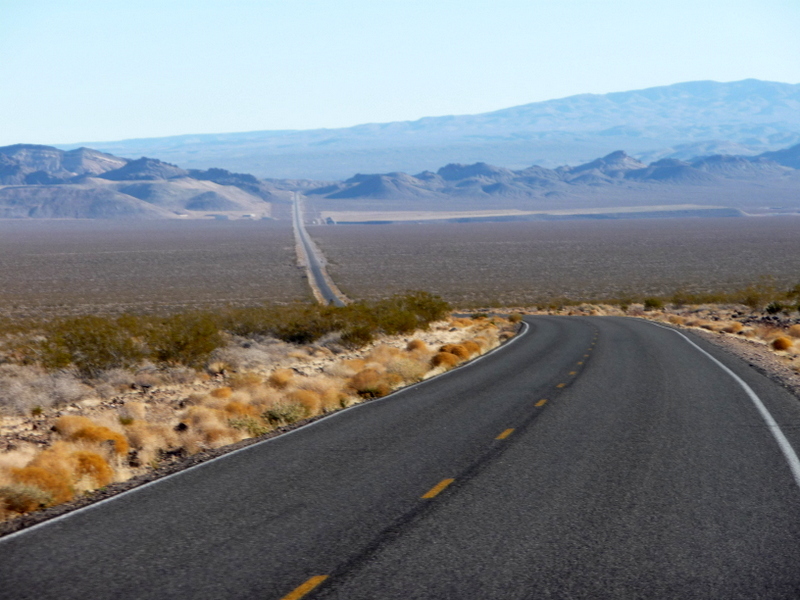 We took exit 78, Kelbaker Road, north through the Mojave National Preserve. 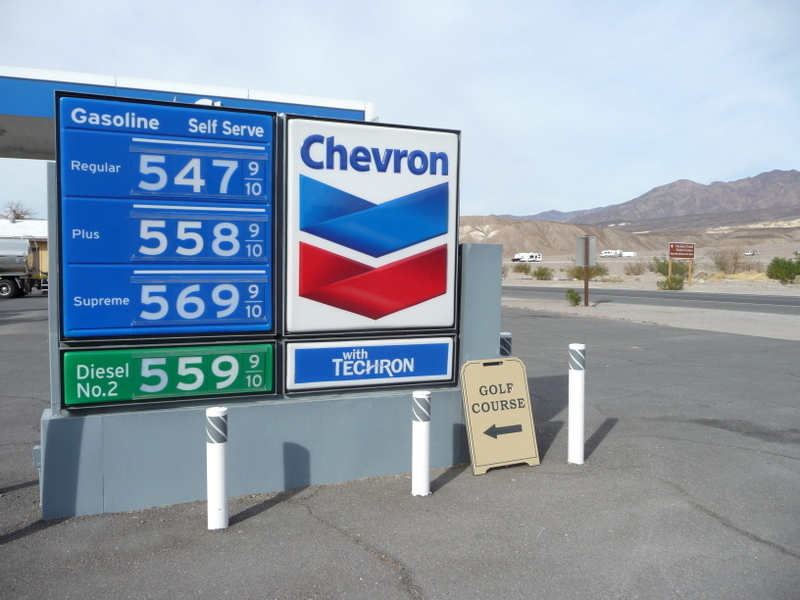 Filled up with gas in Baker, California, before crossing over Interstate 15 and headed north on Hwy 127. 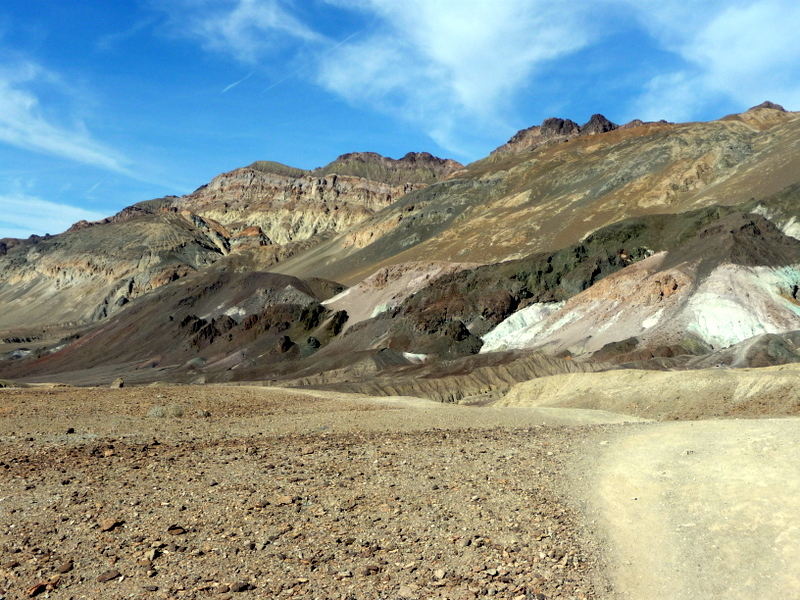 The land is vast and the road free of company. As Al and I sit in our climate controlled truck with cushioned leather interior, we marvel at the Pioneers who first discovered these lands on horseback and wagon. 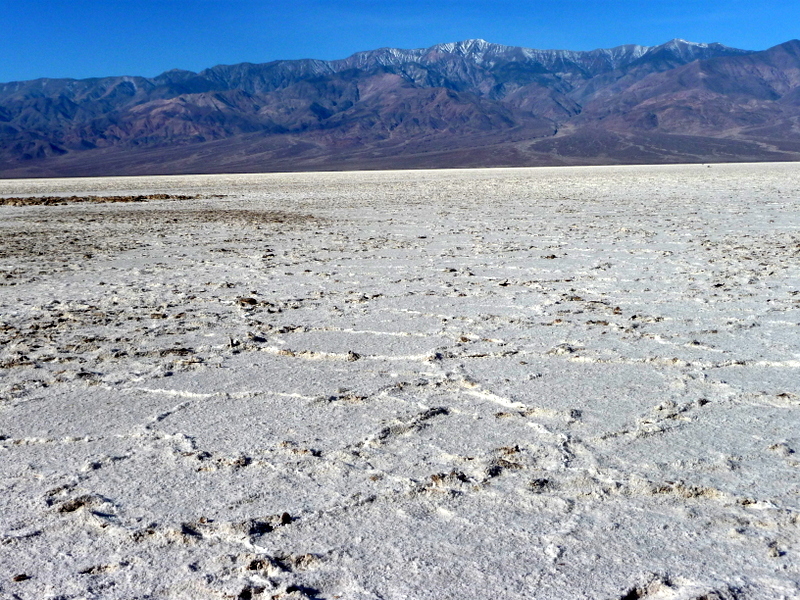 I don’t dare complain about the lack of cell phone coverage. 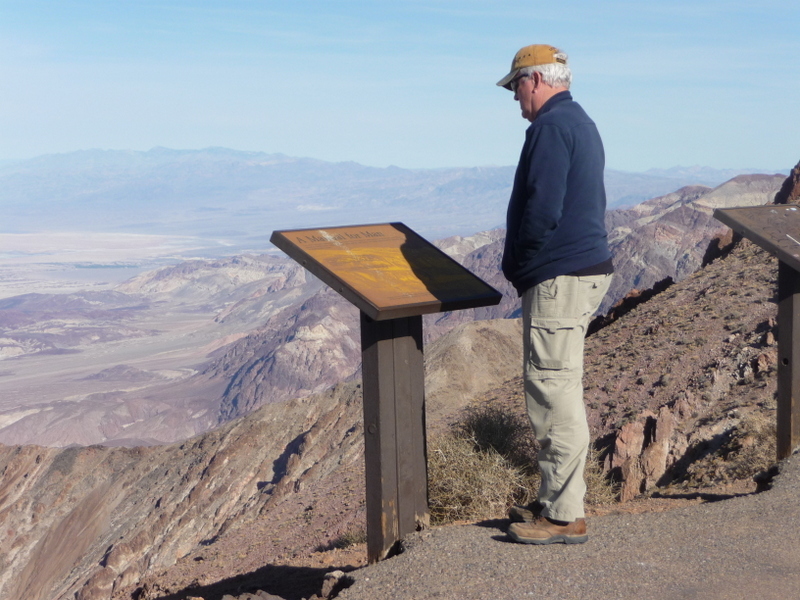 Yes, that’s right folks…no cell phone service in Death Valley or a good 100 miles around. There’s actually pay phone booths at a couple of the resorts. Flat tire? You’ll need to fix it yourself cause AAA ain’t coming! 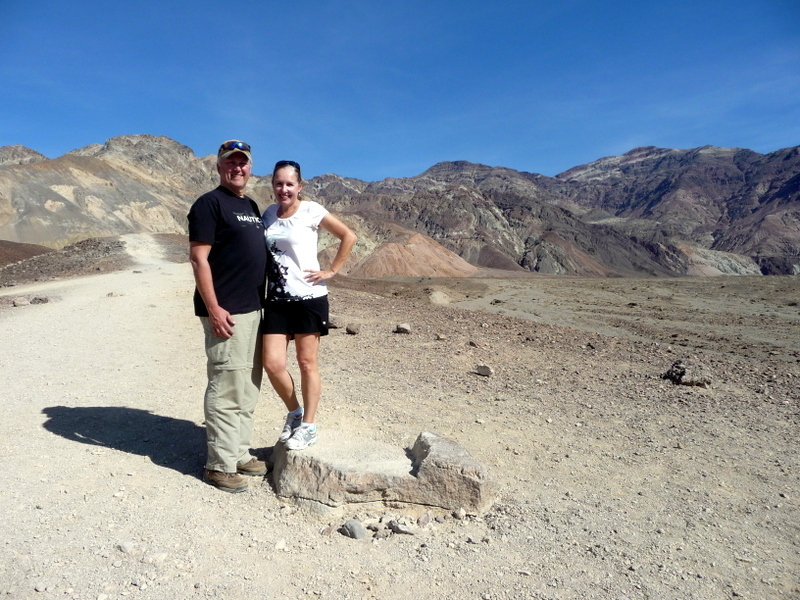 We had planned to camp at Furnace Creek. 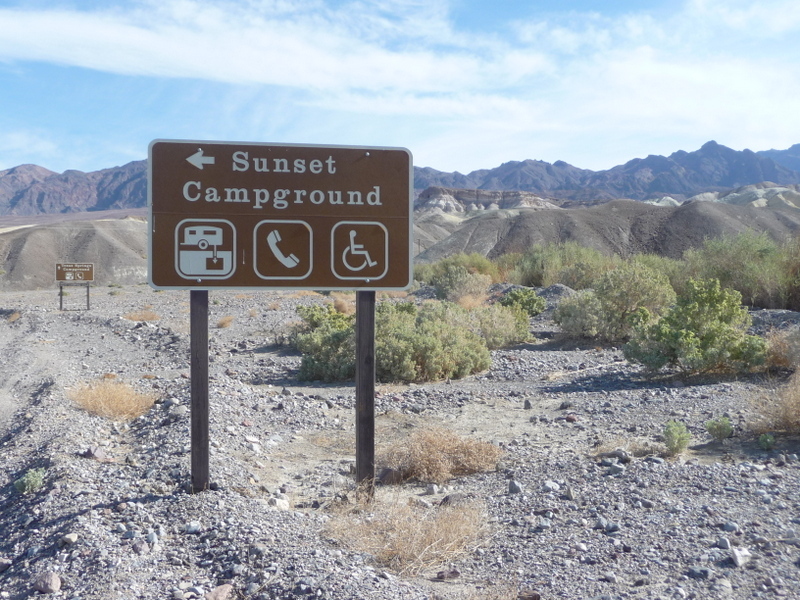 However, the Furnace Creek Campground is closed for the next year for repairs/updates. 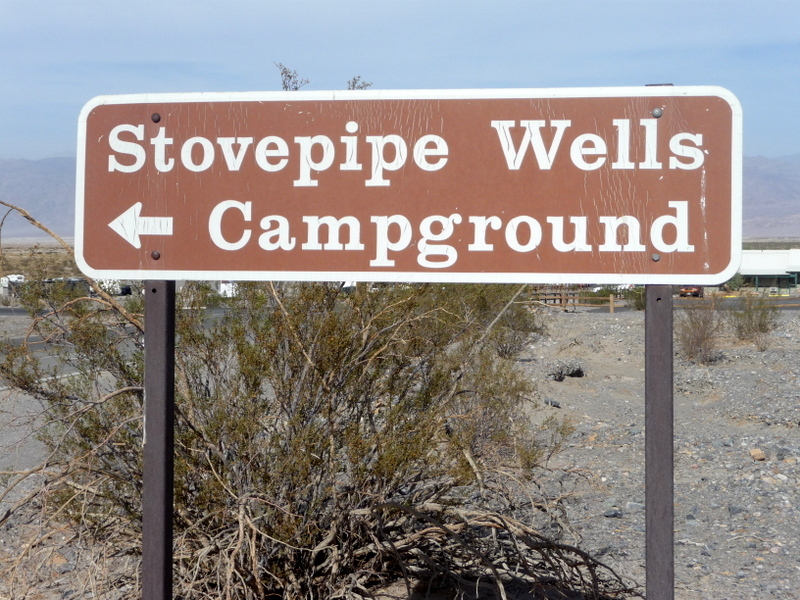 So we stay at the Sunset Campground. can’t complain. 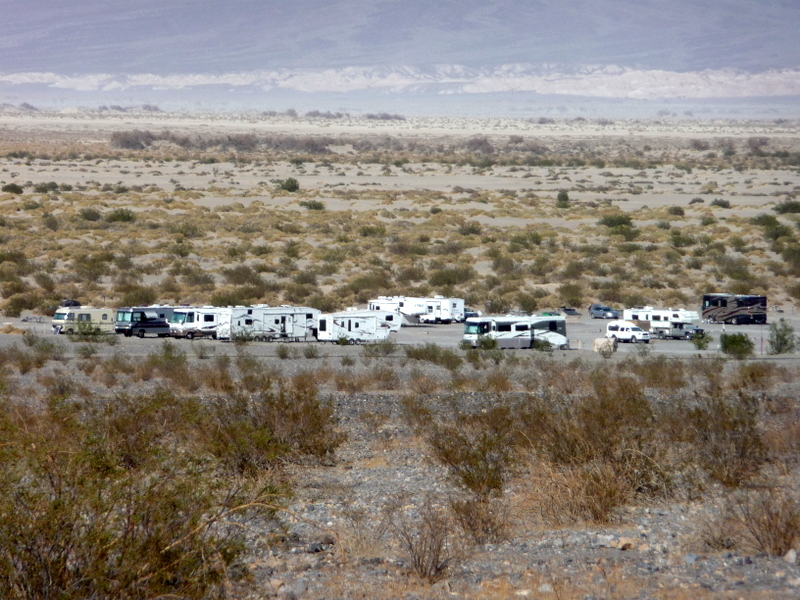 We just need a level spot to park the Rig and crash for a couple of nights. 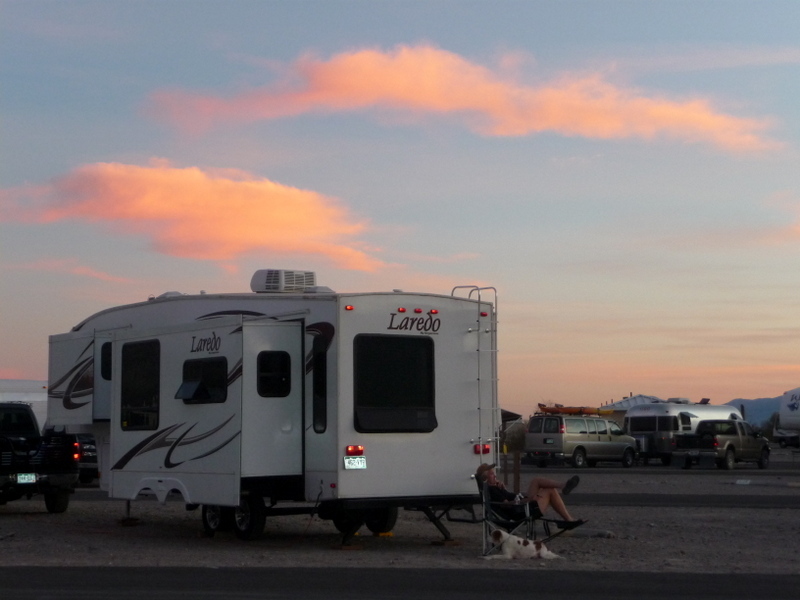 They have a tiered overflow lot that provides the most spectacular sunset set views from your RV. 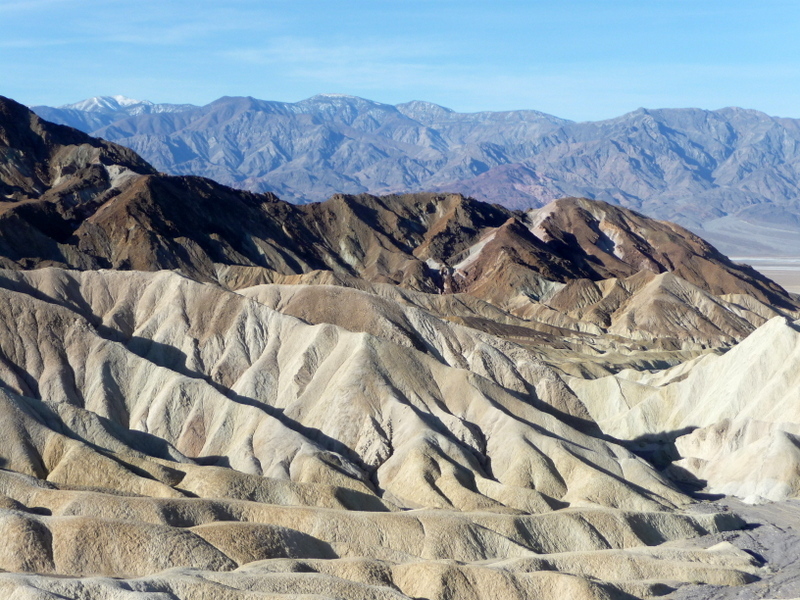 We spent a total of three nights in Death Valley and each night we sat outside to watch the sunset and once down, the sky would turn an amazing red. We would also watch the sky darken to the most incredible deep, deep midnight blue. The stars were bright and the crescent moon amazing. There are some things in life that can’t be captured on film and must be experienced first hand. 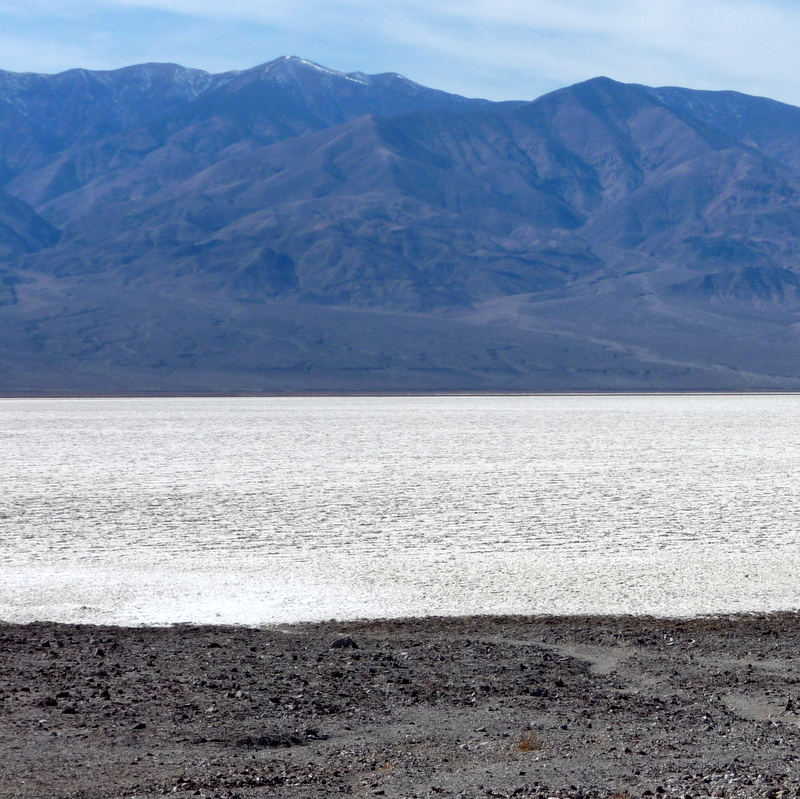 This was definitely one of those moments…..a vision I’ll remember and highly recommend. 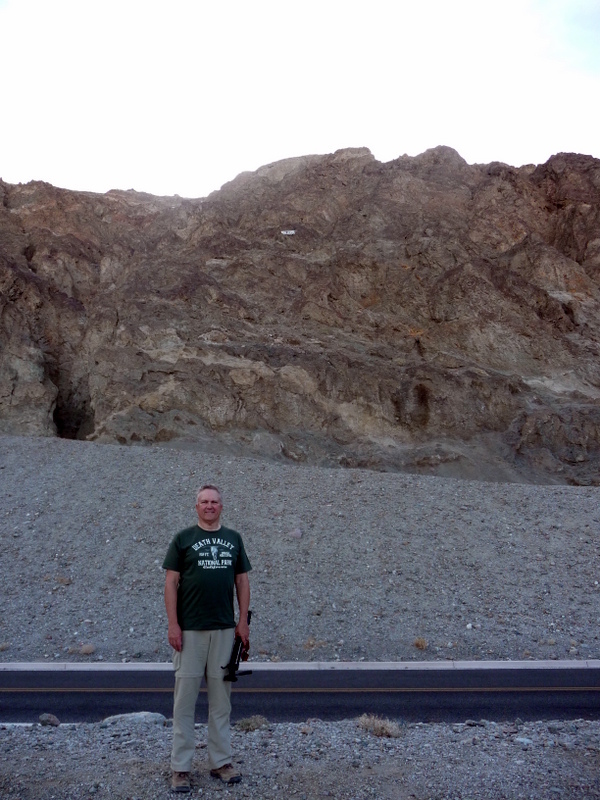 Our first night in Death Valley, we sleep well and look forward to our explorations the next day…..